SchoolView Unified Campus brings management, control, and signal distribution into a single network replacing the need to manage multiple systems. Providing a centralized solution for bell scheduling, bell and clock synchronization, audio paging, background music, video distribution, scheduled display shutdown, emergency alerts and more. With SchoolView it’s easier than ever for administrators to create effective learning environments, utilize innovative technologies with minimal staff training, and provide a safe campus – all while reducing cost. 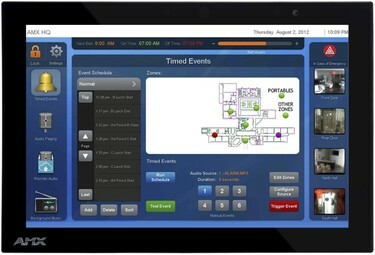 The Unified Campus solution includes all the hardware needed to control and interface with the system including a fully programmed centralized controller, audio over IP hardware, a wall or table top touch panel with pre designed, intuitive user interface, and digital messaging hardware for creation and transmission of video messaging. SchoolView also provides professional design and commission assistance, and training services. Start with the headend kit and add classroom kits for each room for a complete solution. In addition to providing a robust Bell & PA solution, the Unified Campus system provides an easy to use solution for everyday functions such as transmission of content to classrooms (like fire safety, bus safety, weather alerts etc. ), Simply push the content from a central location to all classrooms and automate everything (selecting the correct input on the display, turning on the projector, sending the video). Once complete, the classroom will revert back to its previous state. 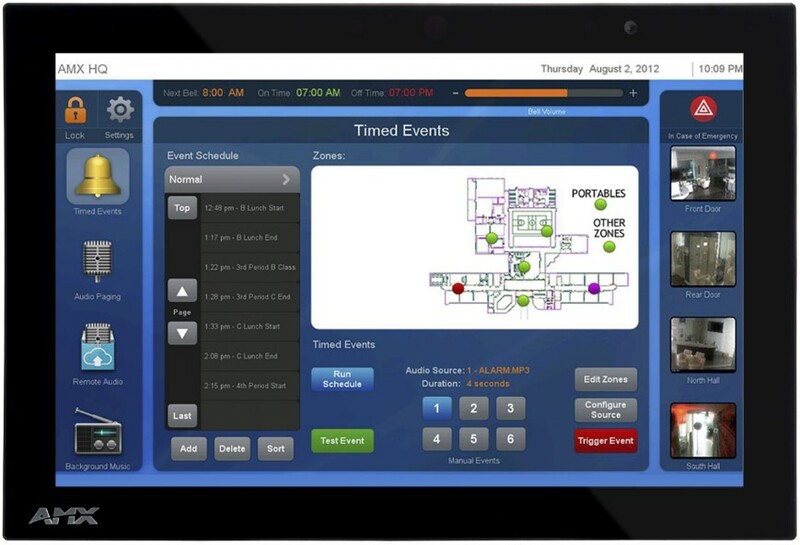 Add this functionality to displays in common areas with AMX Enzo at each display. Scheduled display shutdown at the end of the day saves energy.